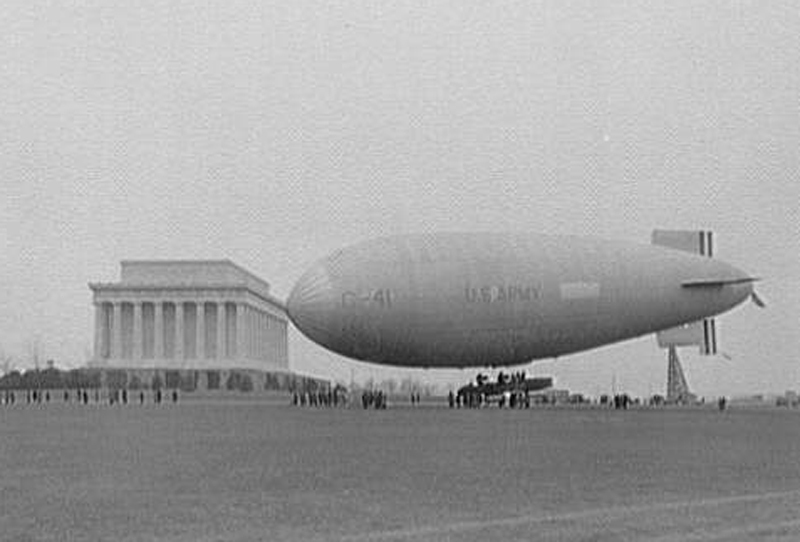 “US Army Blimp Lands at Lincoln Memorial,” Histories of the National Mall, accessed April 23, 2019, http://mallhistory.org/items/show/499. In 1930, the US Army landed an open gondola blimp at the Lincoln Memorial, on a special trip to honor Lincoln's Birthday. Upon landing, the blimp's pilots placed a wreath at the Memorial. US Army blimps occasionally flew over Washington during practices flights from Langley Field in Virginia, but blimps rarely landed on the Mall.